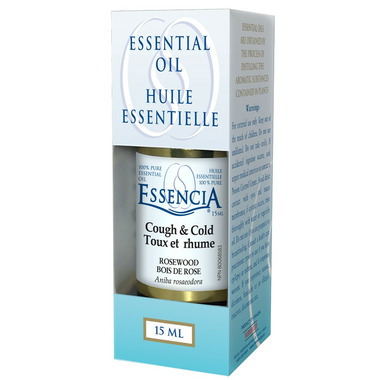 Homeocan Essencia Pure Rosewood Essential Oil is an immune stimulant known for its anti-infective and antibacterial properties. Revitalizing, regenerating and firming, it is also highly recommended for skin care (wrinkles, stretch marks, scars, irritation, dermatitis). It's also effective for cold and coughs. Ingredients: Pure natural rosewood essential oil. Caution: External use only or for aromatherapy. Do not use internally without advice from a medical doctor or a professional aromatherapist. Keep out of reach of children.